My order was delivered within two days. The bonus was that the insoles - recommended by my physiotherapist - made walking more comfortable. Can't fault the build but not enough of a build on the outer part to compensate for the high arch virtually impossible to find a inner sole for very high arches. Thanks for leaving us a review; I'm sorry that you found that the insoles were not quite up to your needs. 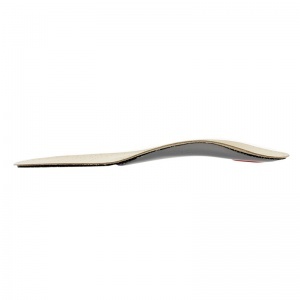 For a high quality high arch insole, I would suggest trying the Sidas 3Feet Activ Insoles for High Arches. We have had some very positive feedback about these insoles, especially from people suffering with high arches. As you can see from the picture, they feature quite a prominent arch support and are great for people with very high arches. I have had these inner soles before and they are superbly comfortable for my painful feet. The product is 5 star but service was slow - got an email several days after ordering informing me that the order was 'being processed'. 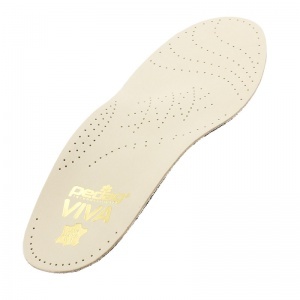 Out of a selection of three different models, this Pedag Viva High Insole is the only one that fits, and it work perfectly for my son, who has a high foot arch. Have used these insoles for 1 week and already I have noticed a big difference while walking. Would highly recommend purchase for comfort.